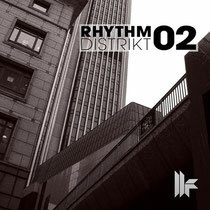 Toolroom Records' album concept committed to the diverse sounds of techno returns with the follow-up ‘Rhythm Distrikt 02’. Going the extra distance and delivering an entire album of exclusive material, fans can expect 20 tough and rolling underground tracks from some of the world’s finest producers. Highlights include Lutzenkirchen’s constructed noise assault ‘Bubblegum’, Christian Fischer’s minimal and techy ‘Gentle Truth’, Marco Lys’ ‘Back To The Beat’, and Rhythm Distrikt favourite Spektre uniting alongside Tom Laws for the spacious soundscape ‘Whores & Hangovers’. Plus with debuts from Cristian Varela, Spartaque, Mr Bizz, Tom Hades alongside a returning Marco Bailey and more, 'Rhythm Distrikt 02' is a good collection of underground grooves and throbbing subsonic beats designed to satisfy the most purist of techno aficionados. It’s out Monday, September 17 on Toolroom Records.